How tasty—and gorgeous!—do these look? On the right is a big ol’ growler of Pineapple Orange Lime, and on the left is a gorgeous Beet Orange Ginger—both poured fresh from the tap of San Diego-based Bootstrap Kombucha. And we're so excited to have them part of our exciting new Kombucha Experiences that we are offering in our shop! These are our kind of brews: crisp, balanced perfectly between tart and sweet, a bit more on the dry side, with beautiful carbonation and nuanced flavors. The beet flavor—or “BOG,” as the brewers like to call it—has a soft beet note that doesn’t overpower the orange and ginger. Each flavor element compliments the others really well, with the ginger lingering at the finish. Pineapple Orange Lime reminded us a bit of a dryer, less sweet Orangina. So yummy. Love and kombucha are two words that often go together. We see it all the time: Family members and loved ones uniting to create kombucha, and infusing it with that same loving energy they give each other. 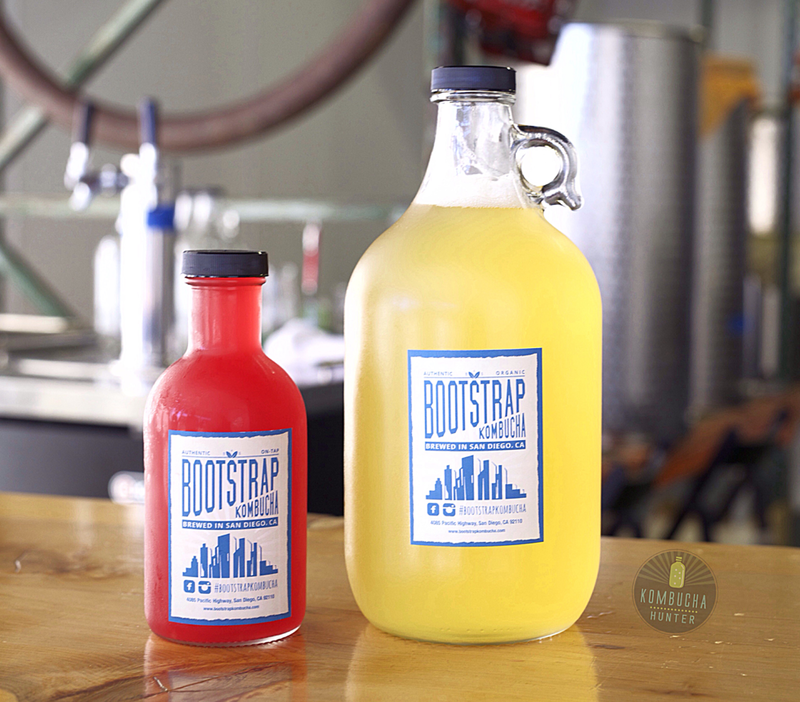 Partners and Bootstrap founders Susan McMillion and James Farnworth are a perfect example of this kombucha love.